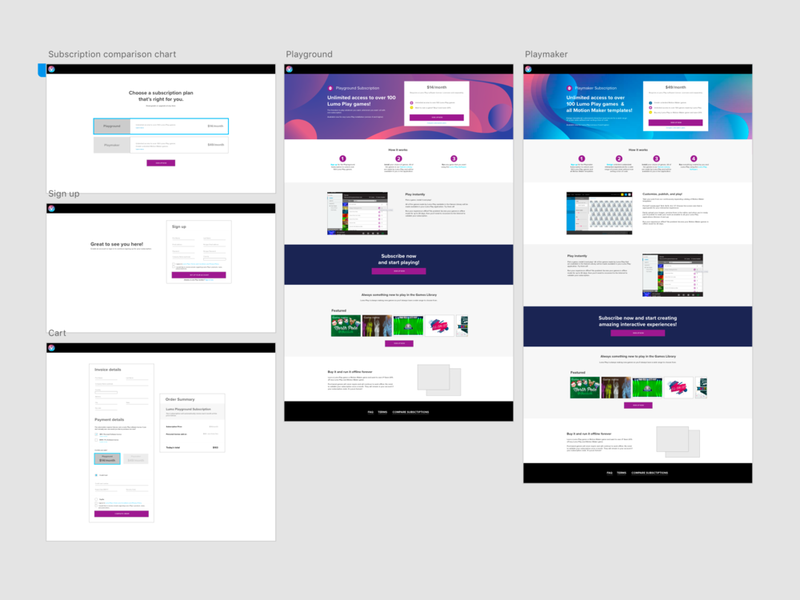 I designed the sign up process and landing pages for Lumo Play's content subscriptions. 1. Create opportunity for consumers to access unlimited content. 2. Inform consumers of the subscription features and options. 3. Direct consumers to sign up to the appropriate subscription tier. Here you can click and scroll through the prototype to get a feel for how the subscription sign up process will work. Check out more design projects I’ve worked on.